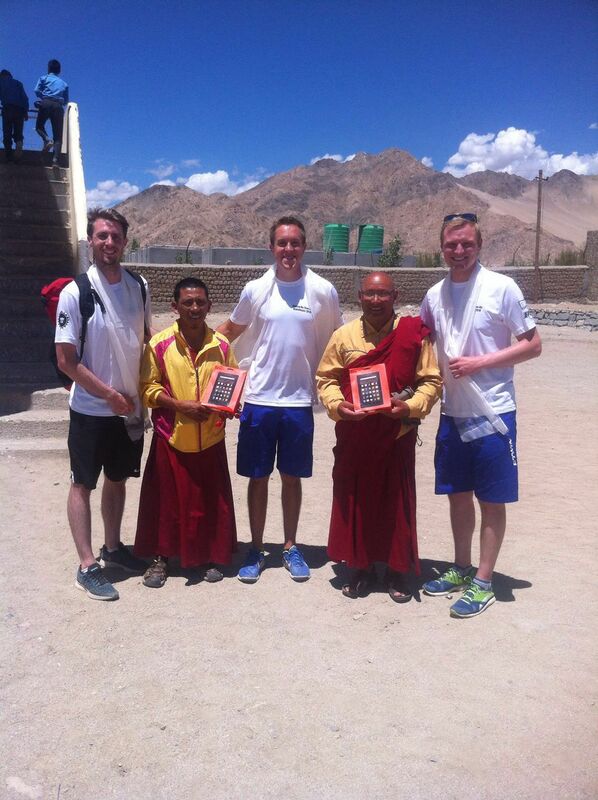 Liam, Tom and Zac from the Riding on Thin Air team have completed their amazing cycle ride of the Manali–Leh highway, which is the second highest road on the planet. 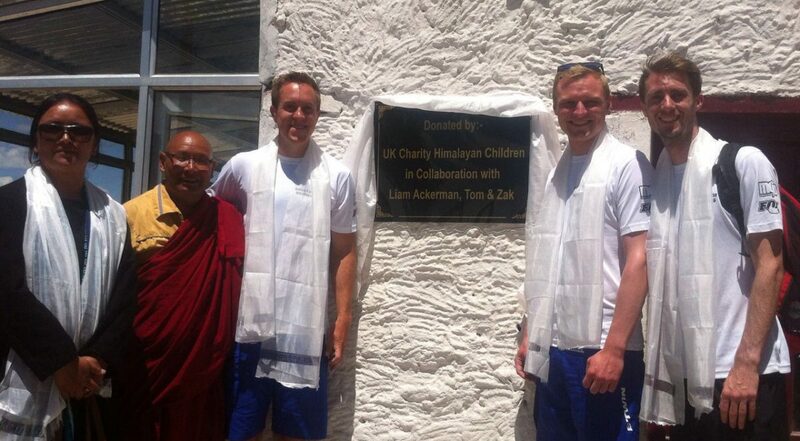 To date they have raised over £8,000 for Himalayan Children and in particular the Shey Lamdon school. All the money raised is being used to provide better hostel and school conditions, including a new outdoor shelter to allow the children to play outside while being protected from the harsh Himalayan weather conditions. 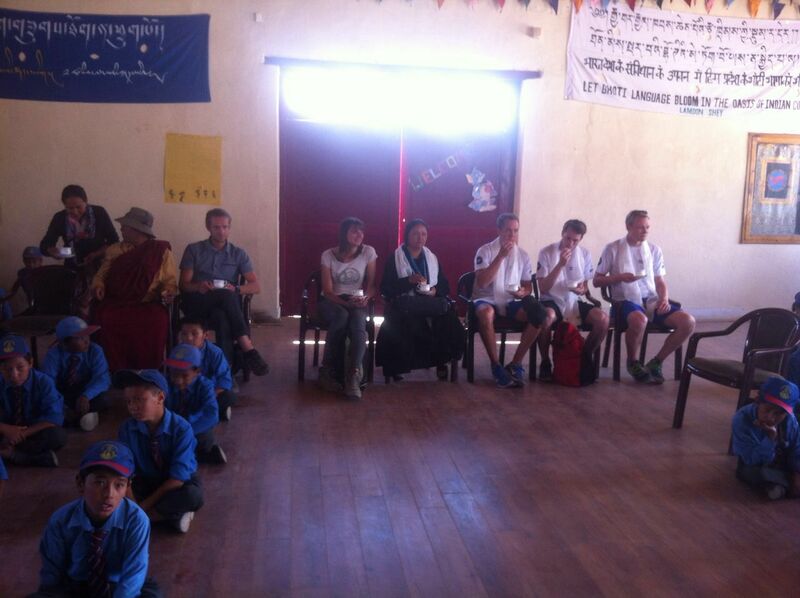 Our contact in Leh, Rinchen Dolkar, met them on their arrival and took them to her home for tea and biscuits! 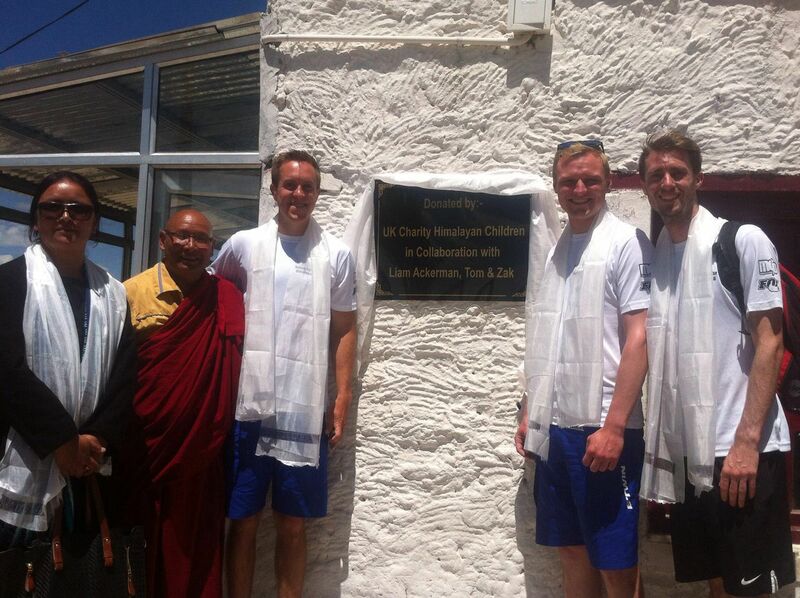 The school reopened especially to greet the team, where they unveiled a plaque showing their achievement. 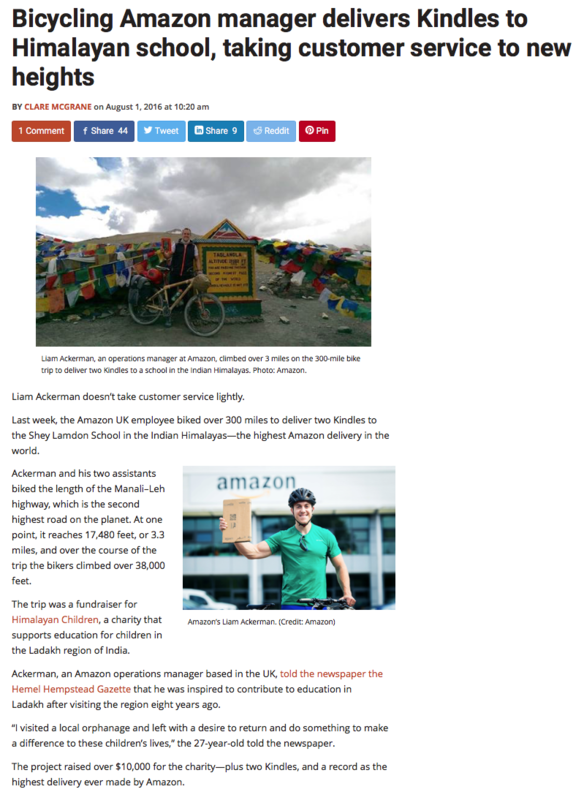 They then delivered two kindles to the school – the highest Amazon delivery! Himalayan Children are immensely grateful to Liam, Zac and Tom for their fabulous fundraising – and if you too are in awe of these guys, you can still donate at mydonate.bt.com/fundraisers/ridingonthinair. The highest Kindle delivery in the world!